Whether you’re an experienced snowboarder or a newbie to the sport, these six spots across America always provide plenty of powder and groomed terrain. Long before the X Games and the Winter Olympics made it a mainstream sport, snowboarding had developed a community of enthusiasts that appreciate the unique challenges that come from racing down a mountain on a single board. Today, the sport is firmly established as one of winter’s most popular activities, and virtually all of the top resorts in America cater to boarders. If you’re looking for great snow, challenging trails, terrain parks, and interesting towns with snowboarding culture, check out these six awesome U.S. snowboarding locations. If a resort is worthy of hosting the Burton U.S. Open Snowboarding Championships—as Vail Mountain has done for three years running—you can bet it’s a great venue for the recreational snowboarder. With a whopping 5,289 acres, three terrain parks and the extremely popular Back Bowls area, the size of the resort means that even on busy days, visitors can usually find a section with thin crowds. 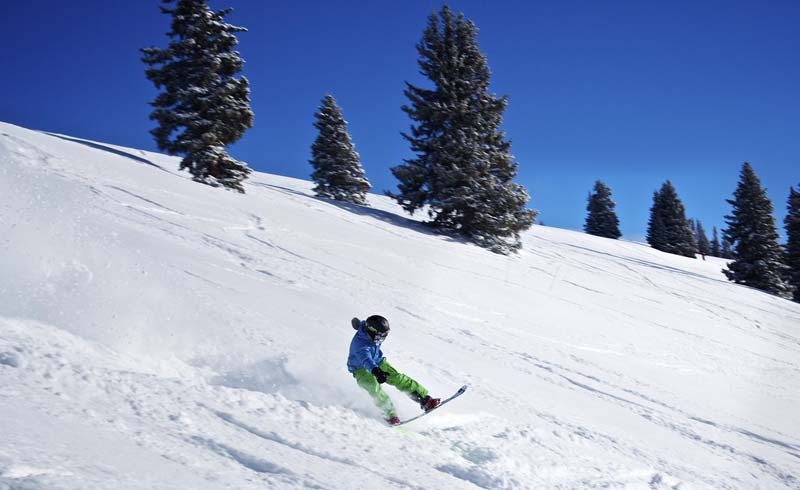 Vail Resort is typically open for winter sports from late November through April. Sometimes a mountain’s name says it all. Mammoth’s peak sits at an elevation of more than 11,000 feet, so there’s plenty of snow, a good amount of sun, and a long winter season that can last from November to June. 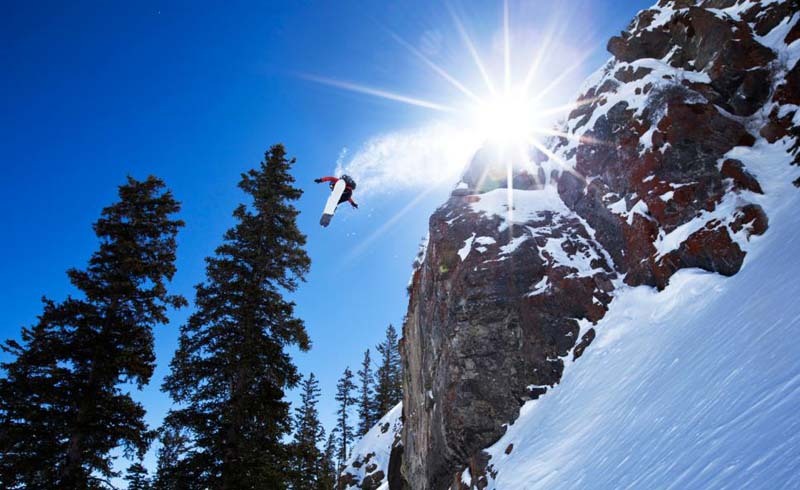 Its also has a proven track record: Multiple Olympians and X Games participants learned to snowboard at Mammoth, which has a nice mix of beginner, intermediate, and advanced trails among its skiable 3,500 acres. Located 90 minutes outside Portland, Mount Hood Meadows is not far from the famous snow-covered volcanic peak Mount Hood. The resort averages more than 35 feet of snow per year and can remain open for as long as six months, from November to May. One of the best things about Mount Hood Meadows is its collection of terrain parks designed specifically for boarders, including a 500-foot-long Superpipe with 18-foot walls. Although it’s been around for decades, Northern Washington’s Mount Baker is still known as an unspoiled snowboarding destination due to its remote location and uncrowded atmosphere. Its ’13-’14 snowfall total of 623 inches was the most of any resort in America. Experience its 1,000 acres of terrain between November and April, but keep in mind that the resort gets busy in late February during the annual Legendary Banked Slalom race. Pro snowboarder Travis Rice insists that his hometown of Jackson Hole has the best free-riding in the U.S. And because of its location away from major cities the town doesn’t attract the crowds that other snowboarding hotspots do during its season, which typically lasts until April. If exploring the backcountry hills isn’t your thing, head to Jackson Hole Mountain Resort, which has more than 110 trails and receives in excess of 450-inches of snow every year. While the most popular snowboarding resorts are in the mountain states or Pacific Northwest, there are quality mountains in the east, too, especially in the Adirondacks. Whiteface Mountain in Lake Placid, home of the 1980 Winter Olympics, is the highest ski and snowboard mountain on the east coast and has 87 trails, a third of which are expert level, including 3,400 feet of vertical. For the best snow, visit from November to February. - Gear (board, boots, helmet, hand warmers, etc.